Last week our family went on a mini-vacation to Branson, thanks to our daughter and son-in-law who belong to a vacation time-share program and invited us to join them! The last time we were there was for our tenth anniversary. Things had changed a bunch since then! Our granddaughter (now 17 months old) had such fun catching bubbles on the patio. 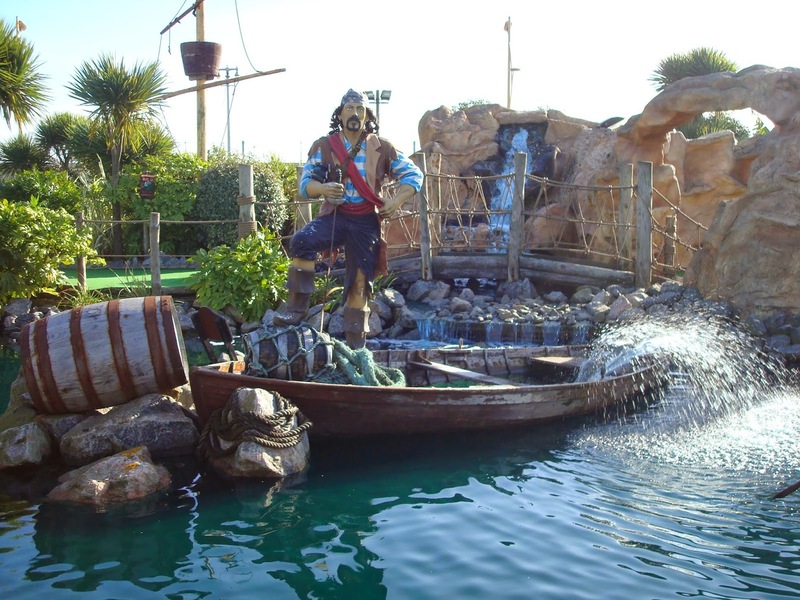 We also swam, watched movies, played foosball, ping-pong, and a game of miniature golf at the Pirates Cove. We ended our time together by eating at Lambert's Cafe, where we caught a few rolls and celebrated our youngest daughter's 18th birthday! What about you? Did you go anywhere fun this summer?